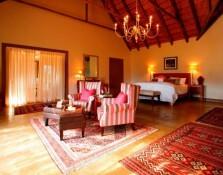 Karkloof Safari Spa‛s luxury boutique lodge is a sanctuary where colonial charm keeps company with African sensibility. 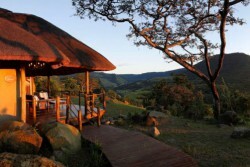 Karkloof is a Destination Spa of vast spaces and intimate exclusivity. 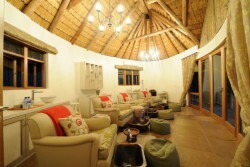 Karkloof Safari Spa is personlised on every level and complemented with unfailing luxury as well as impeccable standards. The vibrant yet restful allure of nature‛s beauty is captured and every aspect of a relaxing journey embraced to complete restoration and wellness. 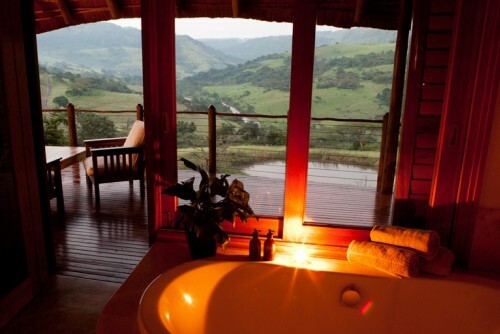 Karkloof Safari Spa boasts a luxury boutique lodge with individually decorated villas, an expansive world-class Spa and 3500 hectares of bountiful terrain abundant with wildlife, offering you a variety of unforgettable experiences. 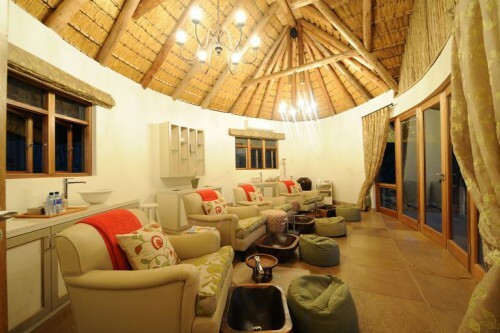 Karkloof Safari Spa, being the most spacious spa in Africa, is in a league of its own - where peace and quiet embrace privacy in a luxuriously natural setting. 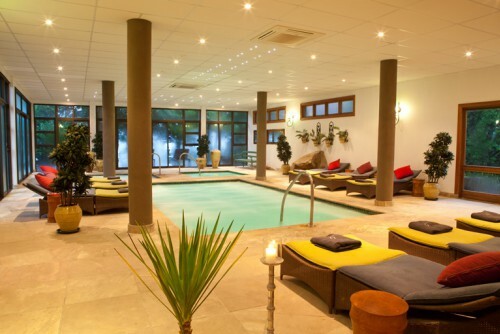 Eco friendly wooden boardwalks connect the tranquil therapy and hydrotherapy areas of pampering and pleasure. Inside, one will discover a sanctuary of relaxation and rejuvenation. Choose from an exotic list of organic Thai treatments and signature spa journeys in the hands of internationally experienced Thai therapists, designed to relax, revitalize and recharge your body, mind and soul. Karkloof Safari Spa does have a policy of children over the age of 12 only which is applicable for both overnight guests, as well as day spa visitors. Balance to be paid 30 days prior to arrival. 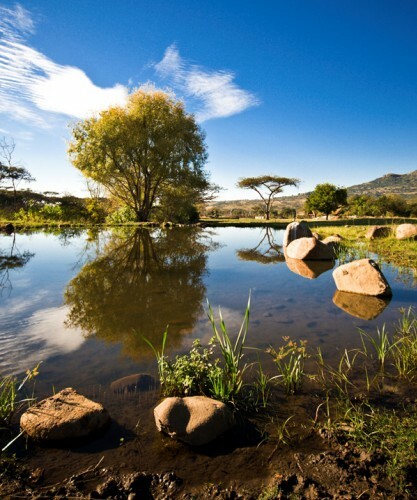 As part of Karkloof Safari Spa‛s all inclusive offering, guests get to enjoy some of the finest organic cuisine in the world, at anytime of the day. 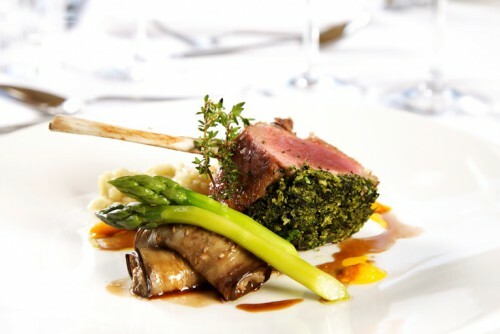 Using locally grown herbs, fruits and vegatables, combined with game and fish, the chefs create culinary masterpieces. 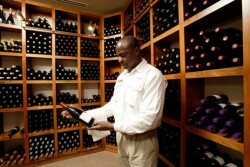 The exquisite wine cellar offers a variety of South African as well as International wines & champagnes. The dining experience is conceived, planned, orchestrated and executed by our South African Executive Chefs. They have brought together their combined culinary knowledge, kitchen skills and practical experience in a leadership role to produce the extraordinary results, of exceptional cuisine, in the midst of the South African subtropics. The Gourmet Dining Room at Karkloof Safari Spa offers a wide variety of wholesome, freshly prepared meals. Each menu for each meal is customized everyday depending on availability of fresh food, as well as guest’s personal preferences. Whether you’re looking for something refreshing and nutritious, or something a little more rich and decadent, there is something on the menu to suit all tastes. 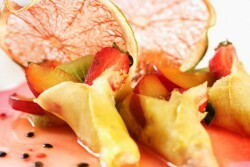 Every course on every menu also offers a Raw Food alternative. From King Shaka Airport: When leaving the airport main exit gates,travel over the bridge and turn right onto the N2 South onramp towards Durban. Go through the toll and stay on this highway until the turn off indicating left onto the N3 towards Pietermaritzburg. 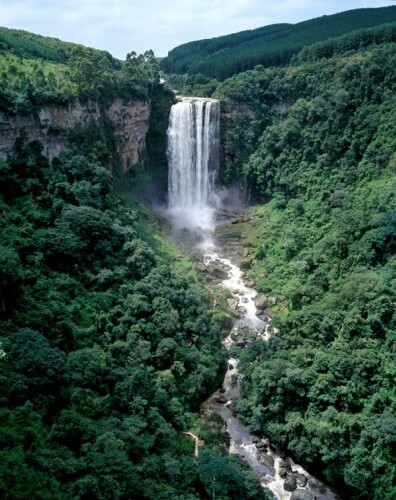 Stay in the right hand lane and drive towards Pietermaritzburg. Drive on the N3 highway for about 45 minutes ( In the Pietermaritzburg area (still driving on the N3 highway ) take exit 81(Chota Motala / Greytown Road). At the traffic lights turn right, over the highway, towards Graytown. Continue straight through the next two sets of traffic lights. The Northway Mall Superspar is ahead of you. Just before the traffic lights, take the slip road off the left. This is Otto’s bluff road. Travel straight along Otto’s Bluff road for Approx 20 km’s. Please be aware that some sections of the road are gravel. 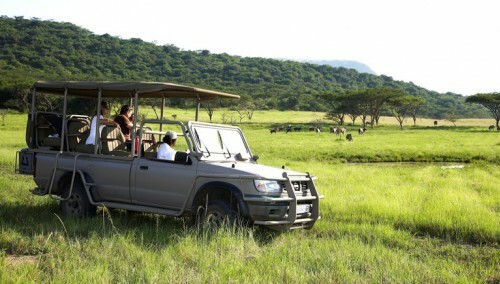 After crossing Morton’s Drift, turn off to the left ( sign posted Karkloof Safari Spa ). Travel along this road for about 2 km’s until you reach a gate on your left hand side. From Johannesburg/Harrismith: Take the N3 highway south towards Durban. Remain on the N3 highway until you reach Pietermaritzburg. Pass the midlands Mall on your left hand side and take the next offramp off the highway. Exit 81(Chota Motala / Greytown Road). At the traffic lights turn left into Chota Motala rd. Continue straight through the next set of traffic lights. The Northway Mall Superspar is ahead of you. Just before the traffic lights, take the slip road off the left. This is Otto’s bluff road. Travel straight along Otto’s Bluff road for Approx 20 km’s. Please be aware that some sections of the road are gravel. 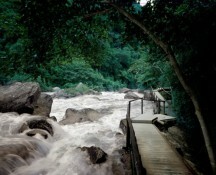 After crossing Morton’s Drift, turn off to the left ( sign posted Karkloof Safari Spa ). Travel along this road for about 2 km’s until you reach a gate on your left hand side.